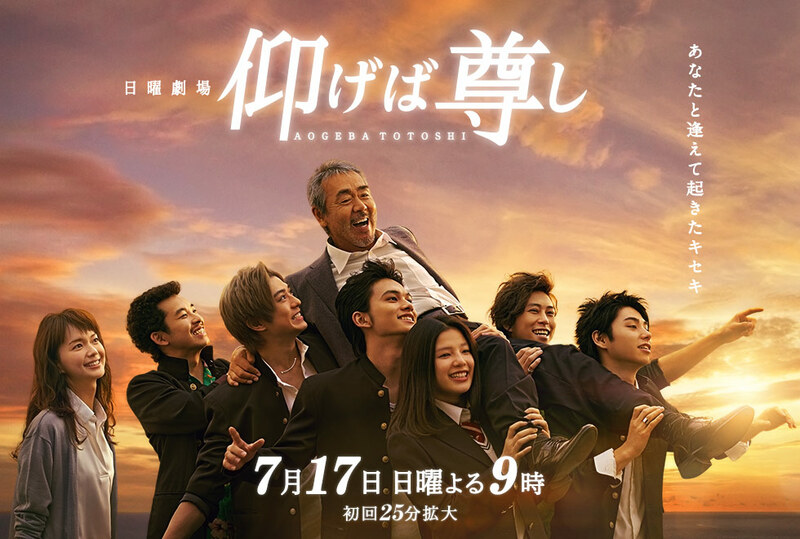 Hikuma Koichi (Terao Akira) is a music teacher, strongly believing in involving all is students in all the performances they make, no matter how well they play. After having troubles with the music club Kanagawa Public Misaki High School invites Koichi to help them, in order to join the national competition. Soon Koichi notices the biggest problem of the club: the five members that don't want to return. The five had been a band, but due to other students ruining their performance, the five end up leaving everything that involves music. Because of their attire (being delinquents), no one wants them to return... except Koichi, who makes it his mission to get them back, and have all the students play at the contest. But it is not easy, as the five firmly refuse to return. How will it turn out? Again, I apologize of the summary: I recommend you watch the trailer. After watching almost every single Yankee drama out there, I kind of missed the genre. I tend to re- watch old ones, so this was a nice drama to come by, as it is new and fresh. I didn’t want another Gokusen, and this drama wasn’t like that. Yes, there were Yankees, and a teacher “believing-in-the-students-and-so-forth”, but this one is a bit different. It felt a bit “heavy” as in quite an amount of emotions, I didn’t expect to feel. It took me on an emotional rollercoaster, I wasn’t ready for it. The cast was good too, much better than the average Japanese youngsters/newbie actors, so that contributed too. The overall story was real, and I think this is one of those that is underrated, if you ask me. All in all, a fine drama, with great cast, and decent story.